Take the guesswork out of making product decisions. Customer centric designs that benefit your bottomline. Design led implementation using modern architecture. 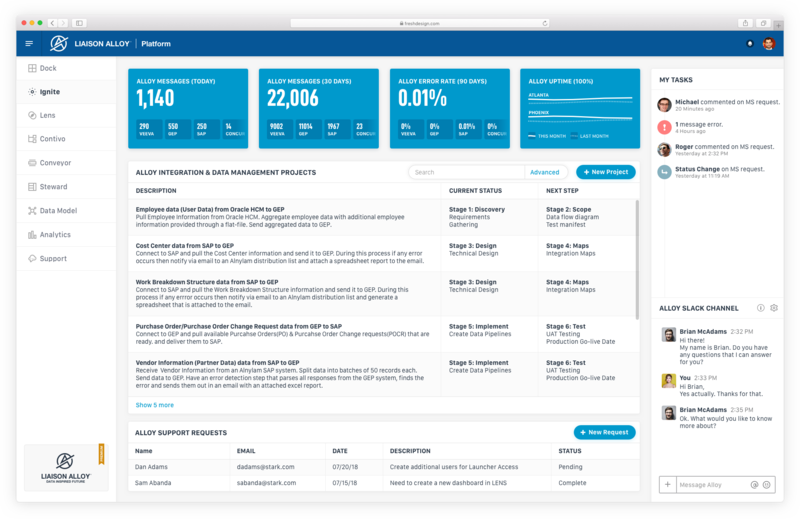 We worked with the Liaison Technologies Product Marketing team to reimagine the ALLOY® Platform and related products to create a seamless customer journey. The end result was a vision-type that demonstrated a user friendly workflow. The prototype was also intended to be used as the key sales tool that will be used fro future product demonstrations. The designs were well received by the Liaison Technologies management team. Partial list of companies that we have served.